Located on Martinique's Atlantic coast, the Caravelle peninsula is most known for its 12-kilometer stretch out into the ocean, which offers a spectacular and omnipresent fusion of panoramas between land and sea. Caravelle itself is like a small concentration of the landscapes of Martinique: banana plantations, prairies dotted with bushes sculpted by the trade winds, arid forest around the lighthouse or tropical forest at the bottom of the valleys, mangroves where crabs and fish go to breed, cliffs beaten by the waves, sheltered cove beaches- there's nothing missing! The nature reserve, which stretches over more than 400 hectares to the extremity of the peninsula, protects more than 150 plant species characteristic of the Lesser Antilles, and is home to dozens of species of birds. Two marked paths allow a series of different hikes, lasting from one hour to half a day across this wild nature. The town of Tartane, where fishers hawk their catch on the beach every morning, is the only settlement on the peninsula. 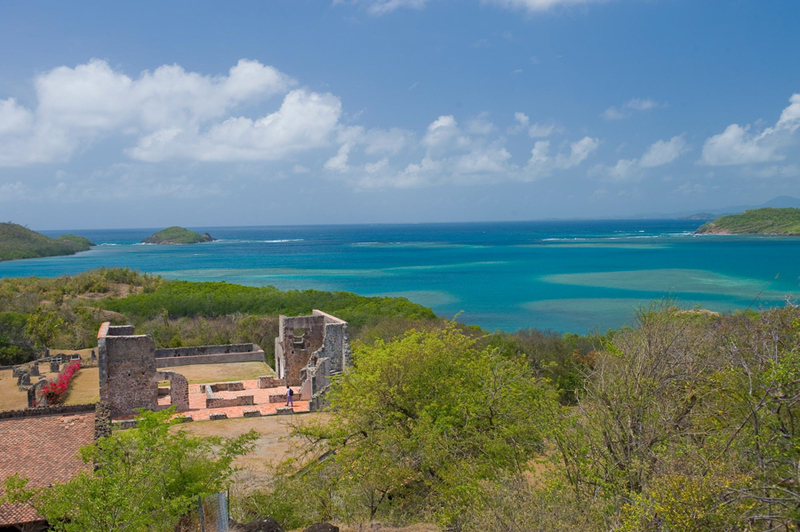 A few kilometers farther, the ruins of chateau Dubuc, facing the rough shores of Treasure Bay, bear witness to Caravelle's eventful past, once a sugar plantation, a hub for contraband and the scene of numerous pirate legends.